We, Jan and Vroni, would like to share our thoughts about certain topics from our life with horses with you. This can be articles about topics related to the classical art of riding, behaviour based teaching, as well as things relating to our daily life with horses which we pay attention to. I shall also answer questions frequently asked by my students. What does “classical” mean and what are the differences between it and the conventional way of schooling horses ? Why the high hand? How can the use of the high hand help? Does the high hand result in a hollow back ? What is the difference between a „Demi Arrêt“ and a half-halt ? Why are the weight aids at times different to those used in the conventional schooling system ? Can you school according to the EdL when riding bitless ? Why use the double bridle and spurs ? These articles will partially be in English. Enjoy my first article and please visit again soon ! I want to pass on some little sequences of my theory lectures here in this blog for you. I try to keep it as short and clear as possible. I am offering here some of MY ideas, information and understanding of what I have learned in my training with Monsieur Karl. I’m very happy and open for any comments, adds or different ideas for an open discussion here in this group and hoping to learn more from you, too! In classical dressage , sideway movements are -amongst others- used to mobilize the horse’s body. We teach and school the horse in sideway movements after a basic schooling of our hand and leg aids (balance, impulsion and relaxation), the „cession de mâchoire“ (mobilizing of the lower jaw), the use of „fléchi droit“ (to gain- among other things- more flexibility of the neck ) and the balancing of the weiht between the shoulders e.g. by counter bends. These sideway movements have been firstly used by the old masters of the 18th and 19th centuries (e.g. Shoulder-In by La Gérinière) whereas the leg yield was only invented -as far as I know- in the 1970ies as a „new modern“ way of training. It was/ is said to be easier for the horse and rider instead of riding a more difficult Shoulder-In. But why do so many still struggle so much with leg yield? And why is it then so difficult to go on from there with Shoulder-In? CLASSICAL means, the moments are natural movements of the horse! 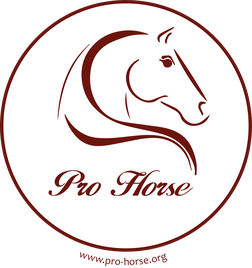 We improve the horses balance (which is disturbed by our weight) and help the horse to become more straight and to develop more strength in the whole body to carry our weight in a way he can stay healthy and might even become more brilliant and expressive in his movements (body) and grow in his mind. Therefore it is absolutely necessary to respect the universal laws of gravity, balance and locomotion! - the riders center of gravity (weight aid) must move in the direction of movement that he wants from the horse. - In a leg yield, the rider is supposed to sit to the inside of the bend, which is NOT in the direction of travel. In ALL other sideway movements we sit in the direction of travel. So WHY should make an exception for the first sideway movement we teach the horse in?? CLASSICAL means, to make it as easy for the horse as possible. In a leg yield, we are supposed to keep a slight „Stellung“, which is a little bend in the first part of the vertebra, limited to the poll and no bend in the neck and no bend threw the rest of the body. It is quite advanced to ask the horse in the beginning to do such a bend and control the poll with such precision! It is the bend of the full neck, which balances the weight between the shoulders to get an easier start of lateral movement. It also causes the inside hind leg to step under the point of gravity and will therefore end up in a more natural movement, the shoulder-in! If a horse has to move to the side by itself, for instance to escape from something he fears, he will surely bend his full neck to the opposite direction of movement. Too many horses step into their own feet, hurting themselves, knocking their fetlocks by this movement. No wonder, every horse needs protectors on all four legs like this. No horse will ever step into their feet or hit their fetlocks in a Shoulder-In! In all sideway movements the leg position of the rider is the same, only the weight aid changes. Outside (of the bend) leg is supposed to be a bit backwards and the inside leg along the girth. No matter, if you ride a Shoulder-In or a travers position. the inside leg is positioned behind the girth to let the horse yield to the side away from it. But why teaching the horse one thing and to change it again for all other sideway moments? Yes, in Travers the horse is yielding from a backwards leg position as well, but still the inside is along the girth and the outside behind the girth. Only like this you will be on day able to ride sideway movements combined without having to change your leg position, but only your weight.